Moyra Davey, Ruby Glass, 2013, digital C-print, tape, postage, ink, 12 x 18 inches. Courtesy of the artist and Murray Guy. ICA presents a new body of work by Moyra Davey based on the artist’s recent reading of Jean Genet. The act of reading has long been integral to Davey’s work, which is full of images of books; however this is the first time Davey has ever made a book specifically for a gallery installation. Moving between photography, writing, and film, Moyra Davey’s highly personal and methodical work draws deeply on the form of the essay. 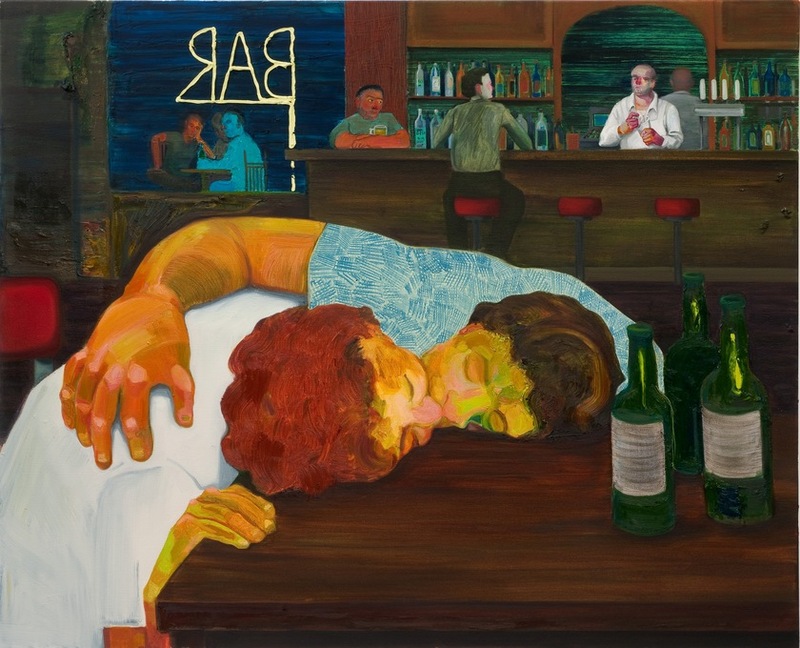 Her art interprets and critiques her own experience as an artist through a generous frame of literary, philosophical, and cultural references, drawing as well on objects, memories, and even dust. Assembling a rich variety of texts, Davey uses them as the materials from which she constructs an almost romantic yet decisively biting point of view. Organized for MUMOK (Museum Moderner Kunst Stiftung Ludwig) in Vienna by curator Matthias Michalka. Organized at ICA by Chief Curator Ingrid Schaffner. The installation is accompanied by the artist’s book Burn the Diaries (a co-publication of ICA, MUMOK, and Dancing Foxes Press), as well as by a gallery supplement with an essay by Schaffner and an interview with the artist by Michalka. 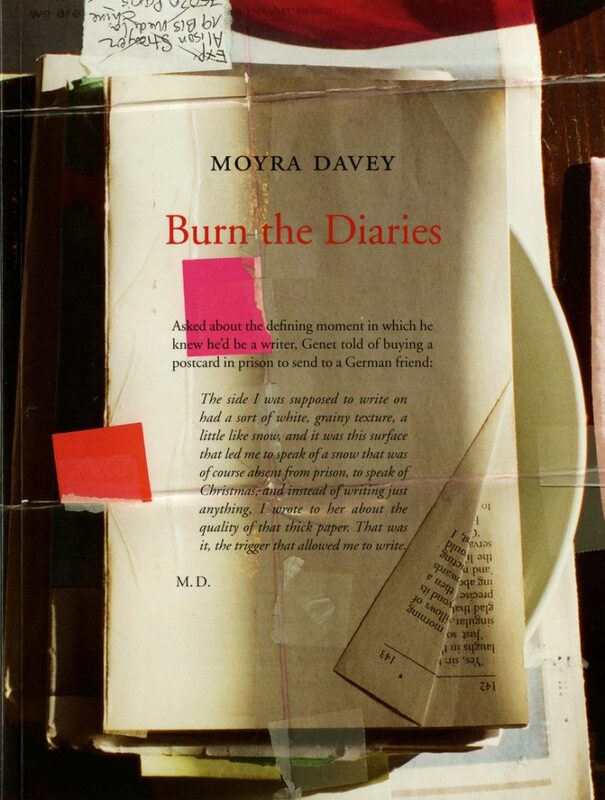 Moyra Davey, Burn the Diaries, 2014, installation view, Institute of Contemporary Art, University of Pennsylvania. Photo: Aaron Igler/Greenhouse Media. In the oeuvre of New York artist Moyra Davey (born 1958), literature and writing are as significant as photography, film, and video. In her latest text, Burn the Diaries, Davey considers the work of French playwright and political activist Jean Genet (1910–1986), among other texts, while examining fugitive moments from her own life. An essay by her childhood friend and reading companion Alison Strayer, reflects on Davey’s themes. The publication is part of a group of new works and can be read both as an artist’s book and a catalogue to accompany the exhibition at MUMOK (Museum Moderner Kunst Stiftung Ludwig), Vienna, and the ICA. 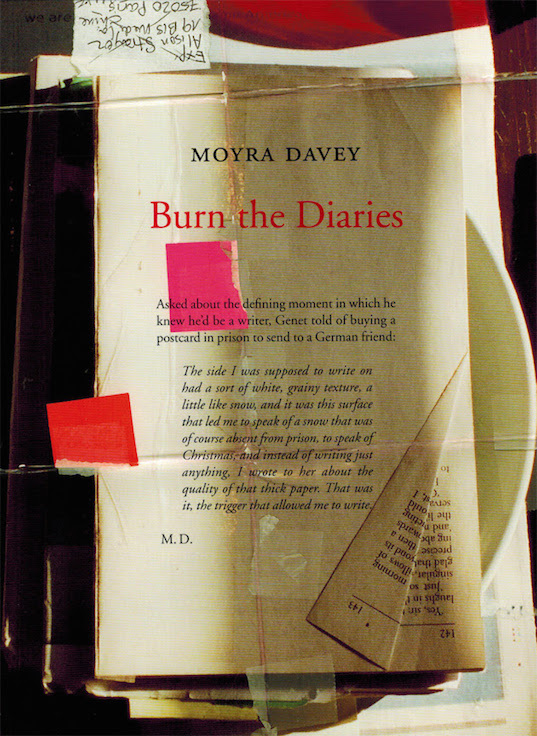 Essays by Moyra Davey and Allison Strayer. A supplement to this publication is available here.